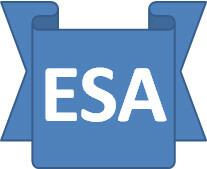 The ESA Saga: WCA Audio Recording - the plot thickens, but the truth becomes clearer. WCA Audio Recording - the plot thickens, but the truth becomes clearer. The plot thickens. From the latest letter from DWP it would appear that the fact that recording is a waste of time has been known since the completion of the pilot in June 2011. Interestingly, this has only just come to light and frankly everything that has taken place since has been designed as a palliative to keep us all happy and quiet. Why Mr Grayling has not made this clear in the House of Commons is a mystery. It is worth noting that this is completely at odds with Atos’s own conclusions & recommendations, although both organisations used the same data. Unfortunately, no supporting information or supplementary reports have been produced by DWP, it is not possible to see or understand the basis for DWP to take the decision it has. “The results of the pilot showed that audio recording of Atos assessments would not improve the quality of assessments and there was only limited evidence of improvement in the customer experience for some individuals. · Less than half consented to having their assessment recorded and a tiny proportion, less than 1%, requested a copy of their assessment. .
· Some claimants felt intimidated by having their assessment recorded and others decided not to have their assessment recorded once they arrived at the assessment centre. · There was no difference between the quality of recorded and non-recorded assessments. Rolling out audio recording for all assessments would be extremely costly with no apparent substantial benefit or improvement in assessments. As a result, DWP has not implemented universal recording of assessments. DWP has instead asked Atos Healthcare to try to accommodate requests for audio recording where a claimant makes a request in advance of their assessment. The announcement, however, of the availability of audio recording was at a time when only small numbers were expected and since that time, the number of requests has increased significantly. This has put pressure on the ability to provide sufficient capacity to meet all requests. The dual CD machines required for audio recording are a specialist item; there is only one manufacturer and machines need building on demand. Consequently, there is a lead in time of 4 to 10 weeks. There has been an order for additional machines, but a large-scale purchase of machines in the absence of an evaluation of the process is not effective use of public money, Although there have been increases in requests these still represent only a small percentage of overall Work Capability Assessments. In the meantime, whilst Atos will do all that they can to accommodate requests for audio recording there may be times when the service cannot be offered, for example where it has not be possible to get access to recording equipment on the date/time of the WCA. In these circumstances, Atos will inform claimants in advance that they are not able to meet their request for recording. “Thank you for your letter dated 20th July 2012 and I will take up your FoI suggestion separately using your letter as the point of reference. I know you have to toe the party line, but some of the information you are being provided with is duplicitous literally beyond anything I have ever encountered previously. It appears the author has no memory, no sense of integrity and most certainly no shame, but the ability to deny history. Your latest statements will cause a stir as it means that not only have your FoI colleagues deliberately provided false responses to requests for information, but Chris Grayling has lied to MPs in the HoC, which I am sure they will want to take up when they see what you have said here. The beauty of having no evidence of course is that you can say what you like with impunity and change your mind day to day as you wish. I really do have to correct the content of your last letter to remove the ‘spin’ and concentrate on the facts. Perhaps you would pass this on to the individual responsible for the misrepresentation. a) There are standard techniques for establishing meaningful sample sizes, none of which were used – 500 was totally arbitrary. b) The explanation offered to potential participants was deliberately worded to discourage them from taking up the facility. c) No information is available as to how the 500 were selected and nobody can therefore show that there was no bias. d) No information was gathered regarding the participants’ previous WCA experiences – clearly something that would have a major impact on attitudes to the pilot – nor their conditions, not even physical or mental. Nobody therefore has the faintest idea as to whether the sample was representative or not and has no sound basis for making any decisions whatsoever as a result. 2. Despite 1b), over two-thirds of the sample expressed interest and this only ultimately dropped to 46% due to assessments that for a variety of reasons did not take place. It is dishonest to imply as you have that over half were not interested. Some of those who wanted recording were pressured to change their minds on arrival. Anyway, 46% may not technically be a majority, but it is most certainly a substantial minority too large to be ignored. David Cameron would be delighted with 46% of the vote at the next General election. 3. The JCP pre-project internal briefing made it clear that recording would not be seen as part of the decision making process and that there was no reason why claimants should need a copy unless for reconsideration and/or appeal, in which case it would be there if required. As this thinking was incorporated in the offer made to the 500 participants, it is surprising that any at all asked for a copy there and then – the 1% you quote therefore means nothing. 4. On your own admission, demand has well exceeded your “expectations”, so why quote figures you know are understated? · No quality measure was defined. · The Atos report simply refers to report “grading” NOT overall quality. · There was no follow up on decision errors, reconsideration or appeals. 7. The increasing demand was highlighted by Atos in their report so there is no excuse for not having dealt with it 12 month later – it was certainly not the surprise you have indicated. 8. Atos recommends that recording become routine. 9. Your statement regarding the cost/benefit of recording assessments is completely unsubstantiated as no overall analysis (that for example considers the impact on tribunal costs) has been undertaken – it is pure guesswork. 10. The Minister’s statement was unconditional - he categorically stated it would be available to anyone who wanted it. 11. Your concern for effective use of public funds is a surprise and hard to believe given that decision errors result in a somewhat larger bill through the Tribunals Service. 12. You have said “..... a large-scale purchase of machines in the absence of an evaluation of the process is not effective use of public money”, which is of course true. But equally if as you also say recording adds nothing to the assessment process and you have known this since the end of the pilot, why even buy 11 – surely this in itself is a waste of public money? Have you told Professor Harrington he was wrong and there is no need for recording? 13. You try to discourage claimants making their own recording by telling them it is illegal. It simply is not and likewise you cannot stop a claimant taking notes. If the HCP refuses to procede that’s their problem – as the Government continually tells us, if they have nothing to hide they have nothing to fear. 14. You are quite happy to allow Atos to provide the facility on a best-endeavours basis, without any controls on how this might develop - if they mismanage the machinery, so no recordings can be made, so be it. Amazing!!! So in summary, DWP’s position on this all stacks up as follows. You haven’t exactly said this I know, but this is a straightforward logical interpretation of what you have said. Great! I've pointed others towards the DWP write up of the pilot and cannot understand why Grayling keeps saying that there was little or no interest when the actual result was as high as 85% of participants saying they thought recording was a good idea. Professor Harrington is also on record as being pro-recording so I can see no justification for the 'no interest' argument. (I found your text a little hard to read because of the colour, so I apologise if you have mentioned Prof Harrington). Brilliant work Tia, have you thought about sending your findings off to Prof Harrington? Hi Paul. Getting to Harrington is not easy. The only route I have found is through the call-for-evidence channel which is run by DWP personnel and I’m not sure whose side of the fence they might be on and to what degree responses are genuine, sanitised etc in either direction. I’ll be repeating the attempt as part of the 3rd call for evidence that is out at the moment although this is not quite part of its agenda. Also this is Harrington’s last commission, so whatever we think of his contribution, there will be no outside influence at all once he’s gone. I am very disillusioned with the illustrious professor’s efforts – there are some very basic issues that he has failed to address and others he has steered around. I’m not nit-picking, but the report is by Atos – there is nothing from DWP. This is odd – normally (as with the Harrington reports) one would expect a DWP rejoinder, commenting on the report’s conclusions, confirming what it agrees with and how it will move forward. Not so here. They sat on the Atos report for a full 12m whilst they considered it, but after all this deliberation came up with nothing new. Harrington cleverly only recommended a trial and managed to avoid commenting on why recording was thought to be necessary by some at all. He also avoided any comment on how the trial should be constructed, what it should be testing etc. etc. Leaving this to DWP to sort out was just a cop-out on his part, so I’m afraid I am not a great fan of his. Thanks Anon. It will be interesting to see how Harrington reacts to the haphazard offering DWP is trying to get away with. I find it hard to imagine that he will aggressively challenge their charade. If he is angling for a contract extension, he is hardly like to rock the boat. Everyone talks about improvement, but nobody is prepared to say what they think it means. Right-first-time decision making is the main really meaningful KPI – the higher the % is, the happier we will all be. DWP however makes no attempt to measure it. When I tried to point this out to Harrington, the message I received back was that “he was surprised”. If he was doing his job, he would have insisted on its implementation 2 years ago and berated DWP publically since for not implementing it. With the best will in the world the decision making process will never be absolutely perfect and as long as the errors are small in number, only at the margins and quickly corrected, nobody would mind. We need some numbers around this that are debated and universally agreed. Then we all know where we are trying to get to and how well we are progressing. It might just be that the current process cannot meet the target no matter how much it is tweaked and the sooner we know this the better.